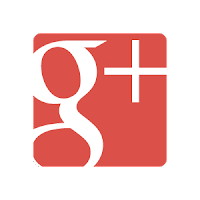 We at Content Marketing Wizard use Google+ as one of many Social Media platforms available to us. In my personal life, I am more used to Facebook. Getting used to Google+ took me a while. Having been an avid Facebook user for years, when Google+ launched I could quickly identify the similarities. I have often mockingly told my business partner, who isn't much of a Facebook user, that Google+ is an almost exact clone of Facebook. And similar to Linkedin a host of other social platforms. Sharing status updates, sharing pictures, sharing links, responding to posts, grouping people into lists or circles, the whole sha-bam, all similar to the Facebooks of this world. However, as I started using Google+, just to get a feel for it really, I noticed it didn't quite 'fit' me. I did not feel at home at first. It took me some time to figure out why that was. Google+ has a very simple and elegant way of connecting to other people: you just click and add them to a Circle. Either directly in Google+ or via a button on some page. Things could hardly be more simple. Still, somehow, I didn't quite 'get' it. Sure, you can click a button on some webpage to 'connect'. Or search for someone and add them to your circles. In fact, Google+ offers a host of ways to find and connect to people. But then what? What happens if you've Circled someone? That's right. Nothing happens! At first, anyway. Except that that person will be able to see what you have shared with that Circle *when* they visit your profile. Well, that's great! But that person will have to visit your profile first! Sure, he (or she) can tell that you added them to your Circle. But unless that person acts upon that, nothing happens! It is only after that person has put *you* in one of their circles that they will be able to see you in their stream. Only after both parties have added each other to their circles you are truly connected. I suppose when you are a seasoned Google+ user, this is all bloody obvious. To me, it wasn't. And still isn't. I get how it works now, but my intuition tells me something isn't quite right. Why does my brain misfire? Or rather, why does my gut disagree with my brain? It took me a while to realize. It is because there is no introduction! You never introduce yourself to the person you add to your Circles! My gut tells me that any real-life social interaction starts with an introduction of some sort? But my brain tells me it may not. Now. Google+ works differently. You are in a bar. You see a person. You simply buy this person a drink. You hope that person will buy you one back. If he does, you are connnected. This is similar to the Twitter way of connecting. My point is, that Google+ has done away with the introduction part of a 'relationship'. You add someone to your circles and from then on share with them. Only, the other party does not see that until they explicitly circle you back. So, in effect, in Google+ you don't make 'friends'. You gather 'followers'. Some of your followers may also be friends. You decide. An intriguing concept, I think. 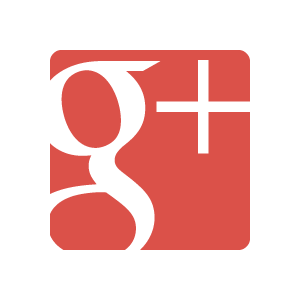 It makes me very curious about how Google+ will develop as a social platform. Will it move in the Facebook direction? Or will it be more similar to Linkedin? Or will it evolve into something different altogether? Will it take off at all? I don't know, but I intend stick around and find out. About the Author(s): This article was written by Arno van Boven. Arno is co-founder of Content Marketing Wizard. 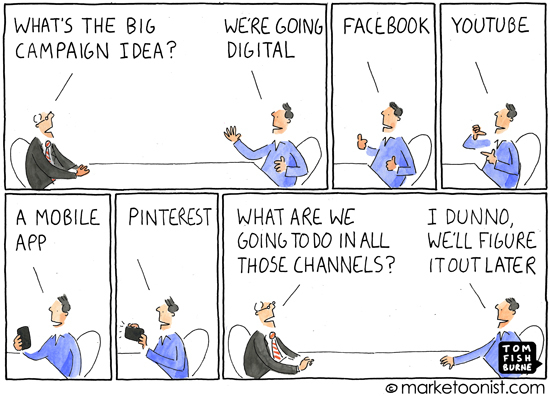 When developing a marketing strategy, it is very helpful to be specific about your goals. ‘More’ and ‘higher’ are not enough. It is much better to define how much more or how much higher. 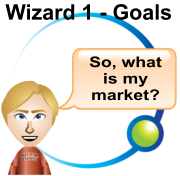 Last episode: Is There a Market in Your Marketing Plan? Tim thinks for a minute here. Increase brand awareness of our outdoor corporate fitness program by increasing website views by 50% in next 6 months. In the next episode 2.1, John recollects marketing memories. Marketing has the word market in it, yet a common mistake is being insufficiently clear on what market your strategy is targeting. Editor's note: This post is part of a series on developing an effective Online Marketing Strategy. It tells the story of John, a small business owner, who creates his first online marketing plan, using the Audience Creator. Content Marketing Wizard Tim coaches him on this journey. Last episode: Do You Set the Right Goals for Your Content Marketing Plan? 'Mostly a local affair, not international, I presume?,' Tim asks. 'Any particular kind of businesses you would like as customer?' asks Tim. B2B with focus on groups; Large companies with 50 to 500 employees in profit and non-profit sector; Organizations that want to raise health awareness and reduce sick leave. 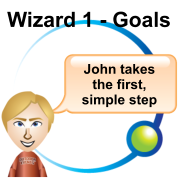 In the next episode 1.3, John will set himself some goals. About the Author(s): This article was written by Ronald Kloots and Arno van Boven of Content Marketing Wizard . Unsurprisingly, every marketing strategy revolves around getting attention for a product or service. John has to decide what he wants to achieve for his service. Editor's note: This post is part of a ongoing series telling the story of John, a small business owner who creates his first online marketing plan using the Audience Creator with the help of Tim, a Content Marketing wizard. 'Nice to meet you, Tim,' John says to Tim. Tim, you should know, just likes to say ‘Aye’ for dramatic effect. On the wall, the starting page of the Content Marketing Wizard is displayed. 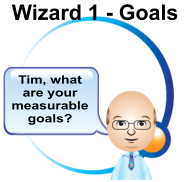 Tim wiggles his eyebrows in what he considers to be a wizard-like fashion. John at this point just nods. Excellent, Tim says. The first part of the Content Marketing Wizard is about the plan. We will figure out what it is you want, and how to get it. 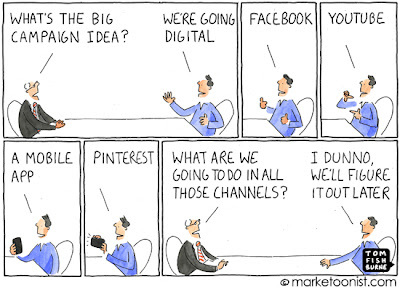 In other words: we will create a Marketing Communication plan. This we do with the Audience Creator. If you'll open the Audience Creator template*, we can get started. In the next episode 1.2, John decides his market. The entire story of John and Tim is also available for reading on your computer or other mobile device. Get it from Amazon or Smashwords. 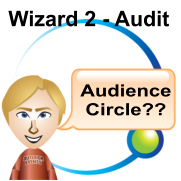 *Audience Creator template is only available in the Wizard Circle. People don’t like long lectures. They want to be shown, not told. 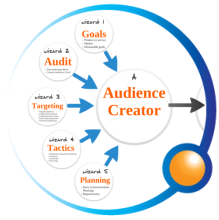 It is the underlying idea of the Content Marketing Wizard, our method for online marketing for small businesses. It covers a lot of topics. Explaining all these would mean a lot of lecturing. We solved this by transforming our lectures into a story. This is the first in a series of posts telling that story. It is about small business owner John, who is guided through the creation of his Online Marketing Plan by his coach Tim, a Content Marketing wizard. In the coming period, you can read about his progress as he goes from having barely a clue about online marketing to completing his first online marketing strategy. Meet John from England. John owns a fitness center with 12 employees. Located at the edge of a city park, he has both indoor and outdoor activities for his clients. Because of fierce competition, profit margins in traditional gyms are small. John came up with the idea of creating special outdoor programs for business groups, so that employees can exercise together. He calls it ‘Move your business’. His challenge: get leads for this product. John’s company has a website and a mailing list. Other than that, the Internet is not used for marketing purposes. Yet. Meet Tim. 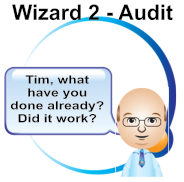 A former speleologist and rabbit aficionado, Tim is now a Content Marketing Wizard. Tim has a method for generating Leads via the Internet through Content Marketing. On a sunny afternoon Tim and John meet during a networking event. Tim has interesting stories to tell about do-it-yourself Content Marketing. What it is. About how simple it can be. About common pitfalls. About how he has developed a Wizard that people can use. 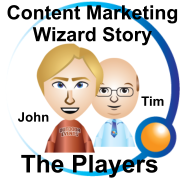 So interesting in fact, that John decides to buy this Wizard off Tim to do his own Content Marketing. Tim will be coaching John along the way. In the next episode, Tim and John meet again. Tim helps John make the first simple step. About the Authors: This article is written by Ronald Kloots (connected to Google+) and Arno van Boven (connected to Google+) of Content Marketing Wizard.